Join us at the Southeast Super Sectional! With summer just around the corner, spring is a great time to gather with other camping professionals in order to learn, connect, and recharge. Camp life is always so busy, and we are constantly trying to do it all while still trying to make a difference in the lives of our campers, guests, and staff. The demands on us are great, and there seems to be little time in our schedules for learning, encouragement or spiritual growth. 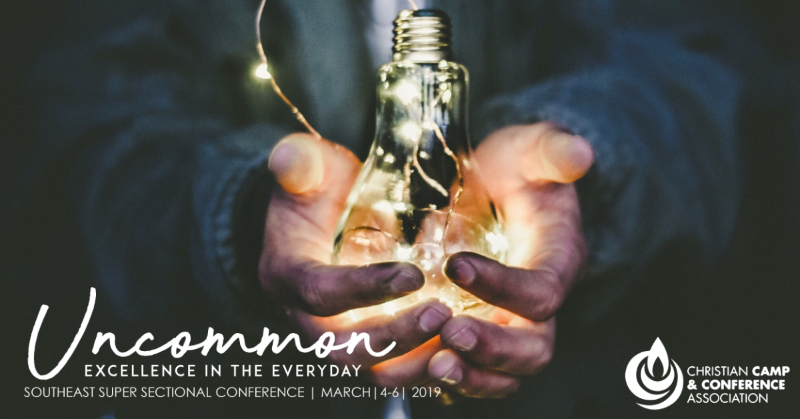 That's why the Southeast Sections of the Christian Camp and Conference Association would like to invite you to our biennial Super Sectional Conference, held March 4-6 at Ridgecrest Conference Center outside of Asheville, NC. There will be seminars and round table discussions on everything from internships and building a menu to succession planning and marketing. A partial list of seminars can be found on this webpage. The complete list will be available in February. There will be plenty of time to connect with other camping professionals around the dinner table, campfire, or over a friendly game of volleyball. Ridgecrest has a coffee shop and cafe that will be open at key times during the conference - those are the perfect places to meet with friends or colleagues. General sessions will be feature Andrew Hopper, lead pastor of Mercy Hill Church, who is sure to challenge and encourage you spiritually. Brantley Pollock from Church Of The City in Nashville will lead us in worship. (See both bios below.) Or, if you feel you just need a nap, there's time for that too! There is more information to come, but in the meantime, reserve your spot by clicking below! We can't wait to see you there! Andrew and his wife Anna were both shaped for ministry largely through their time at The Summit Church in Raleigh/Durham, North Carolina. Andrew served five years at The Summit Church in varying capacities, while also earning a Masters of Divinity from Southeastern Seminary. Before leaving The Summit to plant Mercy Hill Church, Andrew was serving as a campus pastor under his friend and mentor Dr. JD Greear. Andrew grew up in a Christian home in Middleburg, Florida. He attended North Greenville University in order to play football and hone his ability to preach and lead. Andrew and Anna met at NGU, were married in 2005, and now have four children. Brantley Pollock is a worship leader/artist based out of Nashville, Tennessee. Brantley grew up in Garner, North Carolina, which is where he began his journey as a worship leader. He also grew up going to Camp Dixie in Fayetteville, North Carolina, where he would later go on to serve as both a counselor and a worship leader. 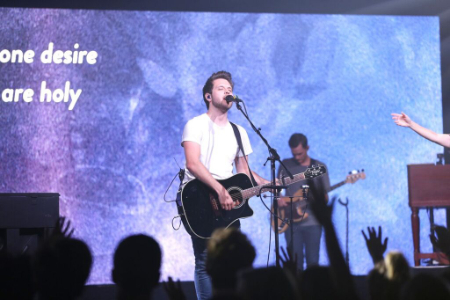 He credits a lot of his spiritual growth and development to Camp Dixie, and says that his worship experiences there, both as a leader and a student, helped shape his love for worship. 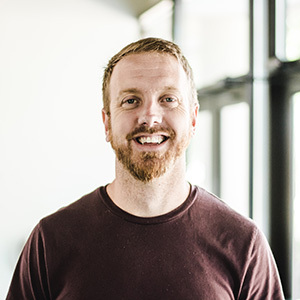 Brantley has since been a worship leader for various conferences and retreats, as well as at churches in North Carolina, Tennessee, and Southern California. Brantley is currently on staff at Church Of The City in Nashville, Tennessee, where he is a part of a worship team alongside some of today's foremost worship leaders such as Chris Tomlin, Aaron Shust, Nate Moore (of Housefires), Christy Nockels, and Chris McClarney (of Jesus Culture). The Sectional will offer three seminar blocks with topics ranging from preparing a menu, caring for summer staff, meeting goals, fundraising, marketing 101 and many more! There will also be panel discussions (Pro Tips) on subjects including church involvement, health care, camp expansions, internships, and a Q&A with camp consultants. View the entire seminar schedule HERE. The Southeast Super Sectional Conference will offer a two-hour Head Start Seminar on child sexual abuse prevention called Stewards of Children, hosted by the organization Darkness to Light. This Head Start will be offered from 3-5pm on Monday, March 4th, at no extra charge to conference participants. To register for the Head Start, please contact Abby Friend by email. Stewards of Children is the only nationally available program scientifically proven to increase knowledge, improve attitudes and change child-protective behaviors. Appropriate for any adult, this training will teach you how to prevent, recognize, and react responsibly to child sexual abuse. Why should I attend this two-hour Head Start training? Child sexual abuse is likely the most prevalent health problem children face with the most serious array of consequences. In fact, 1 in 10 children will experience sexual abuse before their 18th birthday. On December 10, 2018, CBS News reported on sexual abuse cases at children's camps across the US. As leaders in Christian Camp ministries, we need to make sure we are trained to stop this from happening and that we train all our staff - from counselors working directly with campers to those who work behind the scenes. The reality is that it is highly likely that some of our campers and even staff members have experienced, or are currently experiencing, child sexual abuse. It's going to happen whether you are prepared to deal with it or not - unless you stop it from happening. And the good news is, it can be stopped. Stewards of Children uses real people and real stories to show you how to protect children. The framework of the training is built off the foundation of The 5 Steps to Protecting Children. You'll meet survivors who lived through child sexual abuse, experienced its immediate and long-term effects, and ultimately were able to find healing. You'll meet experts who work with children and families, and confront abuse on a daily basis. Many of these survivors and experts are also parents themselves. Stewards of Children is approved for two (2) contact hours of continuing education by The National Association for Social Workers and for Dentist and Dental Hygienist. When registering, please list all roommates in the Special Requests field. *Note that the prices are per room, not per person. Your total will be calculated when you register. To register as a commuter, please call Ridgecrest directly at 800-588-7222. The commuter rate is not available through the registration link. The Silent Auction is a fun element of our Sectional each year! And the live portion of the Auction keeps getting better and better! All proceeds from will go to the Al Garr Memorial Scholarship Fund, which offers scholarships for those unable to afford the Sectional. We need your donations! Please bring items with a minimum $20 value to be auctioned off. We will enter larger items into the live auction on Tuesday night, so an auctioneer can convince you to spend more money! If you have a larger item you know would make a great addition to the Live Auction, let us know ahead of time so we can spread the word! Themed gift baskets. Consider a basket themed around your area or camp (e.g. beach or mountains), local goods (locally made items or brands) or something general like relaxation or adventure. Consider asking your vendors or camper parents if they'd be willing to donate goods or services. The vendor hall is one of the most popular aspects of the conference. 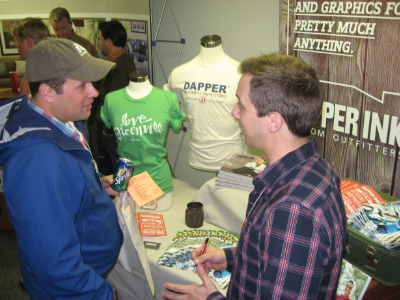 Options for vendors include single or double booth, ads in the program book, sponsorships, and flyer stuffing in vendor hall bags given to all in attendance. If you are interested in being a vendor at this conference, you can get more information and complete the vendor registration form HERE.